The Famicom was a trailblazing console in many ways, virtually paving the way for a successful game industry after many thought it would fade away. Nonetheless, the console is a product of the early 80's and has since been succeeded by numerous consoles that have gone on to achieve bigger and better things. Although the console has inspired countless retro themed games on modern consoles, it nonetheless hasn't had any new releases in a couple decades. That is, until recently. A Japanese video game accessory manufacturer – Columbus Circle – has just announced 8 Bit Music Power, a new game for the Famicom. It's really not much of a game, rather it's a collection of a dozen original 8 bit tunes set to an awesome pixelated visualizer. It releases in Japan on 31st January for about $30 and there currently isn't an NES equivalent, though the company has noted that there's significant demand in the West. What do you think? Would you like to see this come to the West? What's the last game you played on an actual NES? Share your thoughts in the comments below. If only I had an NES or SNES. My oldest console is pretty much the PS1 and I got 3 different models. Is this supposed to be, like, an officially-licensed game or something? Because I thought there were a lot of unlicensed games released in recent years for the NES (or in this case, Famicom), so I don't understand what the big deal is supposed to be. It is pretty neat, though, to see the NES/Famicom operating at what I guess is its full hardware potential that couldn't be achieved back in the day. Do want. I have three music carts so far, MOON8, BitPuritans, and Silicone Statue. I also collect Famicom and chiptunes on Vinyl. @Not_Soos : Nintendo certainly wouldn't waste their time and resources licensing new software for such old consoles. The last Nintendo DS game was probably released in 2014 and there have been very few Wii games released this past year (Rodea and the Sky Warrior being perhaps the most recent, though it's a bonus disc with a Wii U game; and some support from third parties in the form of the latest Skylanders and Just Dance games). The developers of these NES games would probably make more money releasing them via the Wii U eShop as faux VC games. @sillygostly Just Dance is by Ubisoft. That cover art looks like a Paul Robertson creation at first glance. Last games I purchased for the NES were Battlekid 1 and 2. Awesome games! If it isn't an actual game, I don't see why I'd want to play it. I'd probably look up YouTube demonstrations of the game in action instead since it is pretty neat to hear about new releases on the Famicom. I have a pin converter, so I can run Famicom games on my NES just fine, but would this still work? I know some Japanese releases (like Castlevania 3) made use of a chip to enhance the music that only worked on the Famicom. Does anyone know if this has anything similar? If they ever make a NES version I might pick it up. Wow, I always love to see when new designers and programmers tackle old hardware because they always show me something I have never seen before or thought the console would be capable of. @Not_Soos Yeah, there have been several physical NES and Famicom indie releases in recent years. This certainly isn't "the first in 21 years". Kind of annoying that NintendoLife just sort of shot down the entire NES indie development scene with that line. In fact, the same artist who headed this project already released another Famicom game, Kira Kira Star Night. 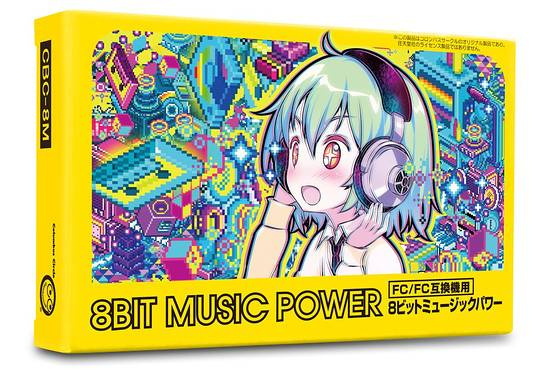 It cost far more to get a physical copy, though, since it was produced individually rather than mass-produced by a publisher like 8Bit Music Power is. @sillygostly I've actually heard that Nintendo has a strict policy for third-party games on VC. They must have been licensed on the original console and they must not have been tampered with in any way code-wise. Which blocks all unlicensed indie releases made in recent times and also any updates a developer might want to make to an old game. I can't remember which developer (it was either WayForward or Natsume), but I remember reading about one of them complaining that Nintendo wouldn't allow them to update one of their games for VC. Which is hypocritical considering Nintendo themselves have made edits to their own VC games. wait, were not in the 80s anymore? Mine just shipped from Play Asia. Looking forward to getting it.